Though the “traditions” are not defined, it is very likely that head covering was one of them. Why do I think this? The teaching on head coverings (1 Cor 11:3-16) is sandwiched in between two contrasting statements. In verse 2 Paul says “I praise you” followed by teaching on head coverings. 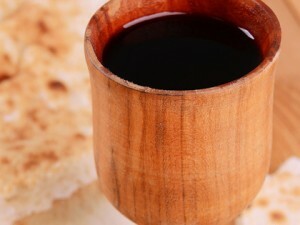 Then in verse 17 he says “I do not praise you” followed by teaching on the Lord’s supper and spiritual gifts (which they were misusing). The sentence structure of 1 Corinthians 11 uses verses 2 and 17 as topic headings. What immediately follows each of those verses is a teaching on the practices that fit the heading; the first to inform (praise) and the latter to correct (praise not). If head coverings were not being practiced by the Corinthians, it likely would have been addressed under “I do not praise you” (1 Cor 11:17). Did you catch the pattern? When Paul uses paradosis to refer to apostolic teaching he says it came “from us”. We just established that head covering is authoritative apostolic teaching, so what’s happening here? This verse was what kept me from embracing head coverings for years. Here’s how I used to see it: what Paul is saying is this doctrine can be very contentious. He doesn’t want that, so if you feel upset just don’t practice it. Besides, none of the churches make it mandatory anyway. How do we reconcile 1 Cor 11:2 with 1 Cor 11:16? Verse 2 governs v 16. That is to say, because the practice was a paradovsi, it was put on the level of orthopraxy. It was a doctrine that the early church followed. Since it was on this level, most of the churches followed it religiously. Hence, Paul could appeal to what other churches were doing (v 16) as an appeal to the reasonableness and pragmatic outworking of this ‘tradition.’ 2) From ‘What is the Head Covering in 1 Cor 11:2-16 and Does it Apply to Us Today?’. Daniel Wallace holds the ‘meaningful symbol‘ view of head coverings, not the position I’m advocating for. So Paul is saying that if someone is being contentious, the churches have “no such practice” as the one that the contentious person is advocating for. Not that there is no official position on head covering, he just finished giving that defense. Rather, there is no church that holds to the view that this contentious person is promoting. That’s why other versions translate this text as, “we have no other practice, nor have the churches of God” (1 Cor 11:16 NASB). Some argue that Paul commanded women to practice head coverings because if they didn’t they may be identified with the temple prostitutes in Corinth who didn’t wear one. However, in 1 Cor 11:16 Paul shows that this goes beyond Corinth and is the practice of all churches, everywhere. Just think geographically of the churches that were in existence at this time: Corinth, Phillipi, Thessalonica, Ephesus, Iconium, Caesarea, Antioch and many more. They all practiced head coverings. All these churches have a mixture of Jews and Gentiles fellowshipping in them and are from different cultures. 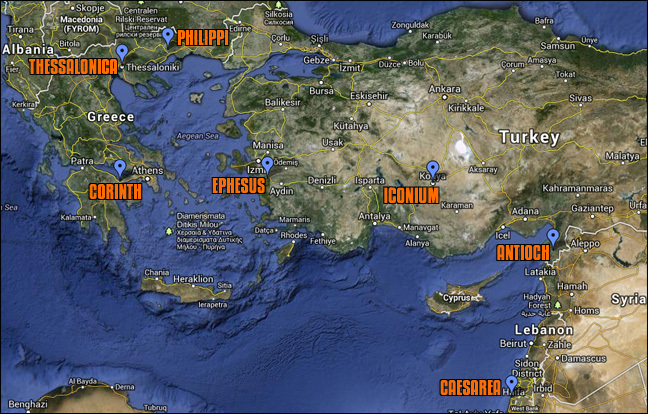 They are spread out geographically over thousands of miles over such places as modern day Israel, Turkey & Greece. Yet, they all hold to the same Christian doctrine regarding head coverings. How can such unity be accounted for except the church understanding head coverings as a command for all Christians? Tertullian was a Christian apologist who lived from 160-220AD. One of the books he wrote was called “The Veiling of Virgins” in which he argued from Scripture and tradition (of men) that all women are to be covered, not just those that are married. There’s one very helpful statement that he said about the church in Corinth in his day, approximately 150 years after Paul wrote his first letter to them. Let’s take a look at it. “So, too, did the Corinthians themselves understand him. In fact, at this day the Corinthians do veil their virgins. What the apostles taught, their disciples approve.” 3) Tertullian – On The Veiling Of Virgins – Chapter VIII. This teaching remained the standard practice of most churches throughout the majority of Church History. As R.C. Sproul notes “The wearing of fabric head coverings in worship was universally the practice of Christian women until the twentieth century. What happened? Did we suddenly find some biblical truth to which the saints for thousands of years were blind? Or were our biblical views of women gradually eroded by the modern feminist movement that has infiltrated the Church of Jesus Christ which is “the pillar and ground of the truth”? 4) I haven’t been able to track down the original source of this statement. It is a heavily quoted statement and one such quotation appear’s in Greg Price’s article ‘Head Coverings in Scripture’. Head coverings are not some new strange doctrine. This is an old doctrine, based in the Bible and understood that way by the majority throughout the history of the church. 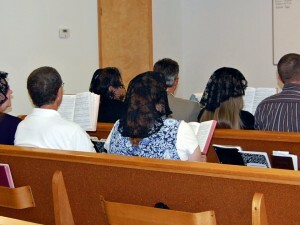 Head coverings were practiced in all churches and we are the exception today. It’s time to change that. ↑ From ‘What is the Head Covering in 1 Cor 11:2-16 and Does it Apply to Us Today?’. Daniel Wallace holds the ‘meaningful symbol‘ view of head coverings, not the position I’m advocating for. ↑ Tertullian – On The Veiling Of Virgins – Chapter VIII. ↑ I haven’t been able to track down the original source of this statement. It is a heavily quoted statement and one such quotation appear’s in Greg Price’s article ‘Head Coverings in Scripture’. Thanks for taking the time to explain the various arguments made in this passage. I’ve really appreciated this site and found it quite thought-provoking. I look forward to reading why you believe the practice can be isolated to public worship. I do not cover at this point but it is something I am considering more and more. I have lingering doubts but I suppose it would be better to be mistaken and cover than to ignore what is becoming a matter of conscience. As I wrote the above I realized I needed to go ahead and commit to covering in corporate worship so this morning will be my first time doing so. Thanks. Rose, that’s wonderful to hear! I’m so happy for you!!!! Thank you for this. I just read all 4 of your current articles and it is helping me with my decision. There is a lot of tradition that is taken for granted, or ignored by the church in an effort to conform to the modern movements. Thank you, Mr Gardiner, for bringing this issue out so clearly. I was convicted of this a number of years ago but rejected the prompts of my conscience for reasons of pride and vanity (not wanting to stick out, fear of what others would think.) For four years I have struggled spiritually because when I truly searched my heart I found this issue again and was unwilling to revisit it. Recently I visited some Mennonite stores in our area and later the same day saw a woman covering in the grocery store, and I was impressed that these women understood ther their place in God’s world and order better than I did, and I yearned to have that kind of peace in my heart. I have not yet covered for a worship service, but I will beginning this weekend. I am greatly afraid of attracting attention, but I note understand that my obedience to God is so much more important than any other consideration, and I am going to make this step. Thanks to you (and your wife) for this ministry. I will point any who question me here. God bless you both. Oh Alice, thank you so much for sharing this. It is tremendously encouraging to me. I think since you struggled through this so much that you’re going to find great peace & joy. That happens on any issue where we stop going against conscience and surrender to God’s will. We’re here for you as a community through this sister. Keep us up-to-date. Today I covered in church for the first time. Everyone who spoke to me about it was positive, but I’m not sure that they knew why I was wearing a cover. I felt conspicuous, but only when I was thinking about myself. I actually forgot about it a few times. I got a few funny looks, but I expected that. I’m glad nobody asked why I was wearing a cover–I don’t think I’m ready to explain it. But my husband fully supports my decision and I am very grateful. The peace in my heart as a result of obedience was worth everything. Thanks for sharing your experience Alice. That last statement is gold! You might want to do some research on Tertullian and Montanism. I am Pastor of an English Speaking International Church in Trondheim, Norway. About 80% of our congregation are from the Philippines but we also have members from about 12 other nations including Romania and the Ukraine where head covering is much more common. No one covers in our church (although I insist on women covering their heads with a plain white headscarf for Baptism by Full Immersion). I believe that Head Covering is a command for all churches in all ages but am not quite sure how to introduce my beliefs to a very young congregation (average age is under 30). One interesting point is that we have an International Dinner once a month after the Service and all our Kitchen Staff and waitresses (14 ladies) are required to cover their heads with white headscarves for hygiene reasons. So a good number of the women are used to wearing a headscarf, albeit for catering purposes. Do you have any advice how I could begin to influence the women in our church to cover. I have produced a 40 page booklet on the Biblical Practice of Head Covering, based on Paul’s teaching in 1 Corinthians 11. When I produced the first edition about five years ago, two ladies were convinced ot this truth and began to cover. Another observation is that the Philippine women are very humble and respectful and have enormous respect for the office of Pastor. I want to introduce Head Covering in a sensitive way but also want to be clear and bold about my views. Pastor Robin, thanks for your comments, question and for serving the body out there in Norway! My recommendation would be to preach through 1 Corinthians 11, verse-by-verse. That way the entire congregation is on the same page and you can all work through the application and objections together. Jeremy, thank you so much for your reply. I am looking forward to listening to Milton Vincent’s sermon series. I will definitely take a series on 1 Corinthians 11 very soon. I am originally from London, England but went to Norway as the result of a direct call from God in 1983. Awesome website! I have been convicted recently on this particular subject. I am pretty convinced and will be wearing one to church tomorrow. I do however have a few questions: 1) I am unmarried. Are head coverings required for married women only (in reference to submission to men/husbands)? 2) Are head coverings required only during church, prayer, or in public? I have always thought of them as beautiful, handy during a bad hair day, and a sign of modesty but never in a way as described in 1 Corinthians. I only know of one person who wears coverings in my church and I have noticed she no longer wears them. Thanks to this website I now understand why she and other ladies wear church hats/coverings. So awesome! Thanks for sharing your thoughts/journey and for the encouragement. 1) It’s our position that it’s for all women, not just those that are married. Unfortunately we haven’t written an article defending that yet but it will be a top priority moving forward. I have been struggling with trying to understand this issue for years, but have never heard a plausible teaching that explains all the difficult verses involved and was consistent. After reading these articles I am beginning to be convicted to cover. I have 2 questions: 1) Is this just for public worship or for any time I am praying or for any time I am in public period? 2) What constitutes a head covering? The passages don’t list any specifics as I’m sure it was also understood by Paul’s readers. Thank you! That’s so encouraging Jennifer! Thanks for sharing. Sorry, but I thought of one more question, which I’m sure you address somewhere on this site. At what age do you recommend girls/women begin covering and why? Actually we haven’t written on that, yet. Ultimately it will be up to the parents discretion (sorta like when to baptize if you believe in believers baptism). My own personal take is that since the description (praying and prophesying) is about participating in worship, if your child is too young to do those actions it may be unnecessary. For that reason we didn’t cover our girls as infants. We did start them out young though around two years old. We may have started too early and it may have been unnecessary at that ago but ultimately there’s no harm done in symbolizing this early. We have used this same approach. Our children are taught, even prior to conversion, what is proper and respectful dress and behavior in a worship or study meeting. So we also start about age 2, when they are sitting by themselves, and staying awake for the meeting. In my own personal opinion I would see that the covering (for women) and removing of a head covering (for men) is mostly applicable for when you are gathered as a church. Also I believe the scriptures are vague on what constitutes a full covering for the fact that it removes legalism. Remember that it is a symbol so that act of covering your head is a symbol to God, angels and men and women. For that reason I don’t believe one covering is more scriptural then the other as long as the head is being covered. Does’t the 1599 Geneva translation make verse 16 clear by explaining that some men were praying with a covering and some women weren’t, in paragraph before Paul begins? I have never read an argument using this am just wondering if I am misunderstanding it. I find it interesting that few in these discussions refer to 1 Cor. 1:2. While Bible believing Christians take the whole Bible as the authoritative word of God, here in particular “Paul, called to be an apostle of Jesus Christ through the will of God, and Sosthenes the brother” (verse 1) indicate that the letter is “to the church of God which is at Corinth, to sanctified [ones] in Christ Jesus, called holy [ones], with all the [ones] calling upon the name of our Lord Jesus Christ in every place, their [Lord] and ours.” Although many like to comment on the specific customs of Corinth at the time, things we cannot determine to the degree of the certainty and authority of the Scriptures, we should take his commands in the letter as universally applicable, at least at the time Paul was writing, as apparently from 11:16 they were. Since then the commands were based on divine order (within the Godhead) and creation order (which cannot change), and concern angels, and nature (which remain basically unchanged since the Fall), and the things Paul commanded (in 1 Cor. 11) were in the church age to the church, and practiced by the churches of which Paul was aware, and according to the testimony of this site, by churches throughout about 1900 years of the church’s history, how can we today dismiss it (head coverings for women (or wives) as a cultural practice, relevant only for a particular place or area centuries ago? That verse was definitely a major part in my own conviction. 🙂 I was still quite resistant to it, and studied it for over a year before submitting to it. My father-in-law was the one who introduced the teaching to me, and I was determined not to follow along simply because “he” told me it was relevant for today. But even with full understanding, I realized that my resistance wasn’t coming from anything but my own pride. Ouch. At what age should a person start wearing a covering? The Bible says ‘women’ but at what age does a girl become a woman? I would suggest that at the age when a girl / women can make a conscious decision of why they should be covering their heads. It’s impossible to say a specific age that would be acceptable but when a person can grasp the truth and form convictions then that is the perfect time. The head covering is a beautiful symbol that I believe brings much honour and glory to His name! It’s too late for me and my daughters, my older dd is 25 and backslidden and does not attend church (you can pray for her to come back to Jesus if you are so inclined) and my 17 yo dd is not interested in even considering this. I can’t even get her to wear a dress to church some Sundays, although she did today. My boys have always been taught to remove hats for prayer/church. But if I had it to do over again when my girls were little, I would start them very young so they would know this is how you dress when you go to church, must as they know you wear a modest dress/skirt. I have covered off and on for years. 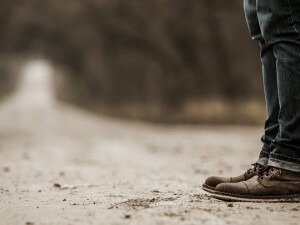 I have been convicted for a long time about covering, and would step away from the practice due to criticism or legalistic comments…and I would begin to doubt my own convictions, and give way to the pressure. Sadly. But even now, I am still convicted of it, and have started covering some, but not all the time yet. I notice that when I am covered there is a specific way it makes me feel. Protected maybe? or in complete submission….or maybe just honoring God and he is pleased… My biggest question on the matter comes in at verse #15 where it says this:: 5 But if a woman have long hair, it is a glory to her: for her hair is given her for a covering. I’m still trying to figure out what that particular scripture is saying. Does that mean that her hair IS her covering, which is why it is appropriate that a woman has longer hair, and men have short hair? If a woman have short hair, she can be mistaken for a man, and vise versa….a man with Long hair looks like a woman? but then I question the long hair of the men in the early days of the bible and the church. so I am asking for input and thoughts along that line….I want to understand it more, and I do believe that whether or not it is a commandment, or a conviction that the Lord honors when we DO cover. I’m just trying to discern whether it is wrong or not, if we don’t….? I love the covering and I think it honors the Lord. Thanks for the comment @disqus_DrhXOtuRPv:disqus .